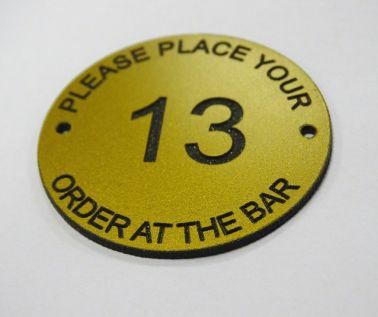 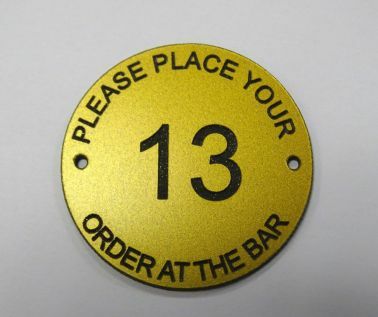 Brass Effect Table Numbers - Bar Signs - Hotel Signs - Pub Signs - Res..
Our Brass Effect ‘Order at the bar’ Table Numbers are supplied at 1.5mm thick and 70mm diameter. They are supplied in impact acrylic with a satin gold finish, which is suitable for either interior or exterior use, and is easy to clean. 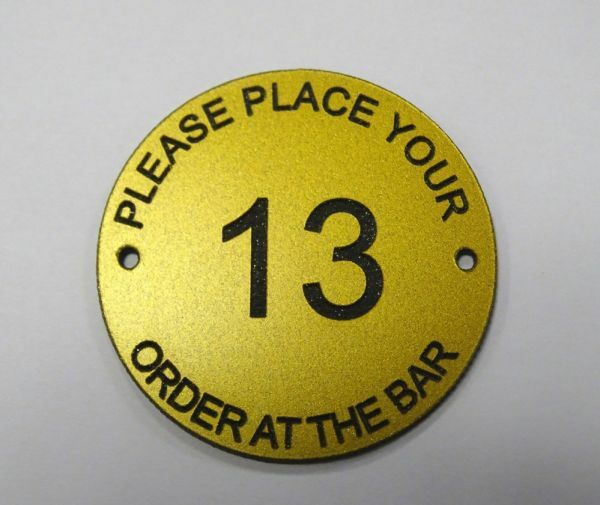 The text is engraved through the top layer of the material to expose a black number.